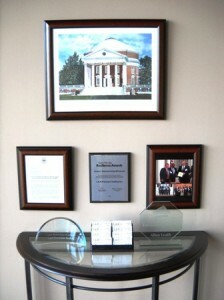 L&R was honored with being named the Small Business of the Year for 2014 by the Lynchburg Regional Chamber of Commerce. As a result of the award our local ABC affiliate, WSET, came into our shop and recorded a segment on us. It was very nice to be able to talk about Allen and the business that he founded and how we are all working hard to continue his legacy. 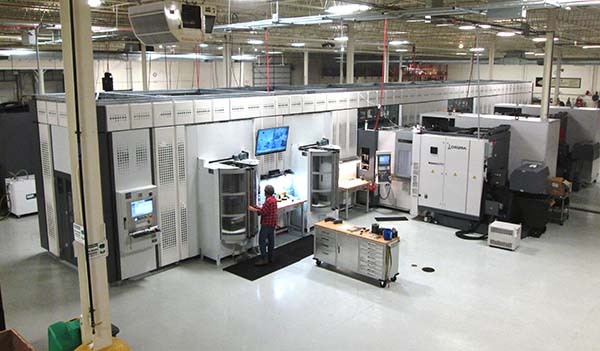 With the acquisition of the Okuma Palletace / Fastems Flexible Manufacturing System we are also moving forward with our plans for AS9100 certification. We see it as the natural progression for us and expect implementation to be complete by the end of the year. We look forward to the challenges and opportunities that lie ahead. Clay, Ginger and Sherry have been pleased with the performance of the company and have promoted three members of the management team. They have announced the new positions of Vice President for their appropriate areas and they are Scott Mullins, V.P. 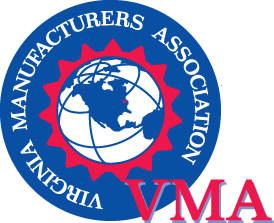 Manufacturing, Jackie Satterfield, V.P. Finance and Chris Coffey, V.P. Business Development. Each of these employees has greater than fifteen years of experience with the company and they are proud to be carrying on with Allen’s plans and vision for L&R. We have added to our equipment in our Prototype / Small Quantity area with our new Southwestern Industries TRL 1845SX Lathe with the ProtoTrak SLX Control. We have just completed an upgrade to our ERP software for even more improved scheduling and traceability. We also have recently added three new people and our current employee count is forty. As alluded to in recent News Briefs, we have moved forward with one of Allen’s projects to make us more technologically advanced. It was a very significant investment and demonstrates the commitment by Clay and the family to continue Allen’s legacy. Please visit our Home Page or the Okuma Palletace / Fastems FMS Page to view the time lapse video of it’s installation. It is an OKUMA Palletace / FASTEMS Flexible Manufacturing System integrated with 3 OKUMA MB4000H Horizontal Machining Centers. The current configuration is 80 feet long with 2 loading stations, 56 pallet capacity and the Cell Controller. Our great experiences with OKUMA and the support and service that we have received from Morris South along with Fastems reputation were very instrumental in making a commitment of this scope. We also value the relationship that we have with First Citizens Bank as they have been a valuable partner in our growth as well. Please visit the Okuma Palletace / Fastems FMS Page to learn more details. We would like to thank everyone for the outpouring of support and kind words concerning Allen. Allen’s untimely passing was naturally a shock to all of us. As we have stated, his meticulous planning has left the company on very solid financial footing. He will be sorely missed as he was such a great employer, friend and person. There is good news as well to report. Clay Leath, Allen’s brother, has come on board to lead the company. Clay has thirty years of machining experience and associate and bachelor degrees in Manufacturing Technology. Clay and Allen were very close and were sounding boards for each other as they moved through their careers. Due to this, Clay was very aware of Allen’s plans and long term goals for the company. Clay and his sisters, Ginger and Sherry, want to see the company fulfill these goals to continue Allen’s legacy. We are very pleased with Clay’s decision to come in and lead the company as President. For those of you who knew Allen, we want you to know that they share many traits. Clay’s demeanor, management style, attention to detail and values parallel with Allen’s. Clay’s background is in the screw machine field. Because of that, naturally people are asking if L & R will migrate towards this area. Clay feels the future success for L & R and our customers is to follow Allen’s plans of a more technologically advanced shop. The evidence of this is that in the past few years L & R has acquired two seven axis Okuma mill/turn centers and continued to add to our five axis offerings. Allen had plans for several new projects that will further enhance L & R’s capabilities to continue to meet our customer’s needs. All of which Clay hopes to incorporate within the next year. We have unfortunate news to report today. On Saturday, August 24th, Allen Leath, our President, passed away. Allen had been diagnosed with colon cancer earlier this year. He had been receiving treatment and was making good progress so his passing was unexpected. Allen was meticulous in everything that he did, including his plans in case anything ever happened to him. His brother Clay Leath and the family have indicated that they want to see L & R to continue to grow and prosper. Clay also works in the machining industry and was very aware of Allen’s intentions and goals for the company. For the foreseeable future the company will move forward with its existing management team consisting of Jackie Satterfield, Scott Mullins and Chris Coffey to ensure a seamless transition. Due to Allen’s foresight the company remains on a solid financial and management footing. Clay has requested that we convey to everyone that first and foremost we are going to fulfill our commitments to our employees, customers, vendors and business associates. Allen was an exceptional individual. The things that we keep hearing from everyone, who knew him, is what a first class gentleman he was in addition to being a true friend and a man of his word. He will be sorely missed, and his leadership has guided us to a very good position and we are positive we will continue to be successful and intend to make this an even greater company to honor his legacy. L&R will be closed on Friday August 30th to allow employees the opportunity to attend Allen’s burial in Woodlawn, VA. We will return on Tuesday September 3rd. 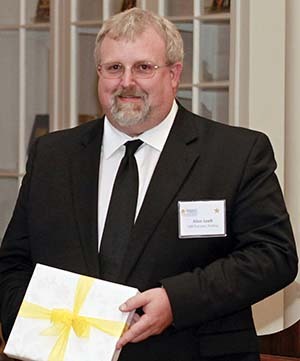 Allen Scott Leath, 47, of Bedford, Virginia died unexpectedly on Saturday, August 24, 2013, at Bedford Memorial Hospital in Bedford, Virginia after a brief illness. Allen was born on Monday, June 20, 1966, in Winston Salem, NC. A graduate of West Forsyth High School in 1984, he also graduated from Surry Community College in Dobson, NC, with a degree in machine technology in 1986. He worked in the machining industry prior to starting L&R Precision Tooling, Inc. in 1997. In 2011, he was voted the Region 2000 Entrepreneur of the year and was also recognized as a finalist for the Tayloe Murphy Resilience Award given by the Darden School of business of The University of Virginia. A lover of nature and the outdoors, Allen was an avid deer and turkey hunter and a wildlife conservationist. Allen is preceded in death by his mother Laura Jean Leath. He is survived by his father, Fred Leath of Galax, VA, a brother, Clay Leath of Lewisville, NC, two sisters, Sherry Leath of Advance, NC, Ginger Moore and her husband, Jason of Mocksville, NC. Beloved nieces and nephews, Troy and Lacey Moore, Josh, Amanda and Cody Leath and numerous aunts, uncles and cousins. Friends may call at Tharp Funeral Home, 220 Breezewood Drive, Lynchburg from 5:00 -8:00 pm Wednesday, August 28, 2013. The body will also lie in state and the family will receive friends from 12:00 – 2:00 pm Friday, August 30, 2013 at Woodlawn United Methodist Church, Woodlawn, VA. A graveside service will be conducted following the visitation at 2:00 pm at The Woodlawn Cemetery with Barry Kenny officiating. 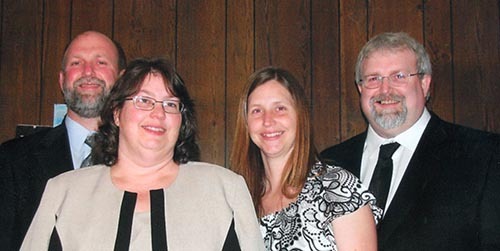 The family would like to extend appreciation to Jackie Satterfield, Chris Coffey and Scott Mullins. Also, special thanks to all of the other employees, customers and suppliers of L&R Precision Tooling, Inc. and to the doctors, nurses and staff of the Alan B. Pearson Regional Cancer Center. 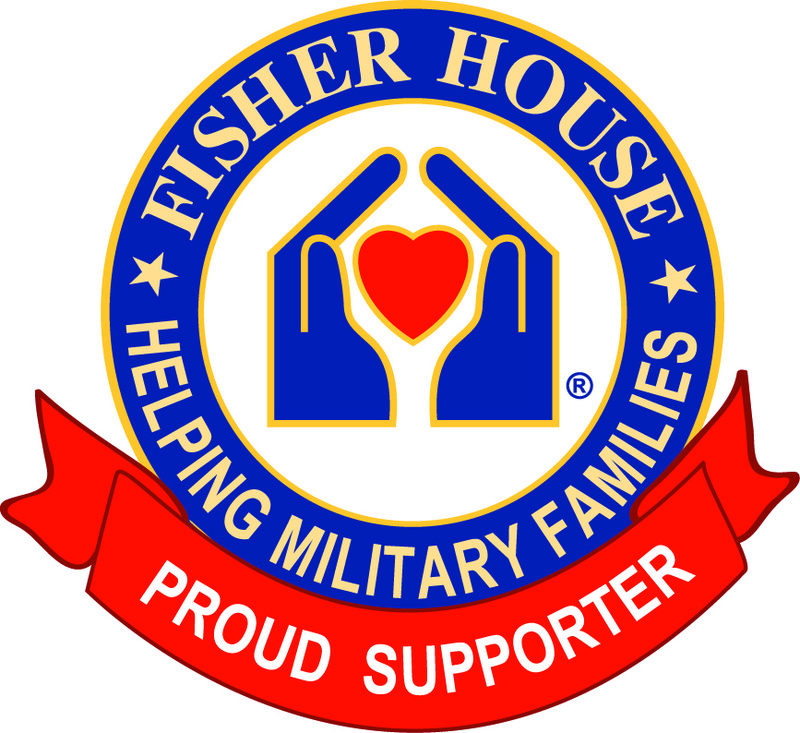 In lieu of flowers, memorial contributions may be made to The American Cancer Society, 2840 Electric Road, Suite 106A, Roanoke, VA 24018. 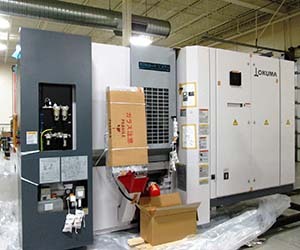 We have added to our horizontal machining center lineup. It’s an Okuma MB400H with 35 H.P. 15,000 rpm spindle, dual pallets, 400 mm table, full four axis index capability, 22” x 22” x 24.5” travels, 40 taper, 1000 psi coolant, OSP 200M control and 110 tool changer. This is our fourth horizontal and will allow us to be more competitive on our production quantity parts. We recently added another CMM. It is a Brown & Sharpe ONE 7-10-7 with PC-DMIS software and motorized probe. It is larger than our other two Brown & Sharpe CMM’s, with 27.6” x 39.4” x 27.6” measurement range. We have upgraded our last two older knee mills. One with a Southwestern TRAK K3 with the Prototrak SMX-2 control. The other with the Southwestern TRAK DPM three axis mill with the TRAK AGE 3 control. We also have replaced our oldest manual lathe with a Select 1860 G Lathe. It is 18” X 60”, 7.5 h.p., 3.07” spindle bore with a Newall DP 700 digital read out. We are pleased to announce the recent acquisition of our MAKINO Duo 64 Wire EDM. It is four axis capable with travels of 25.6” in X, 15.74” in Y and 16.5” in Z.
L&R received recognition from the business and educational communities again this year. We were selected as a semi-finalist in the Tayloe Murphy Resilience Award in September and as a nominee in the Lynchburg Chamber of Commerce Small Business of the Year Award. We have added a new piece of equipment that will enable us to run complex parts ( that normally would require multiple set ups ) in a more efficient manner. It will complement the Okuma Multus B300w that we already utilize. 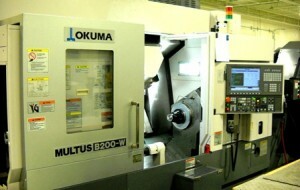 It is an Okuma Multus B200w multifunction turning/milling center with full seven axis capability, 16 h.p. 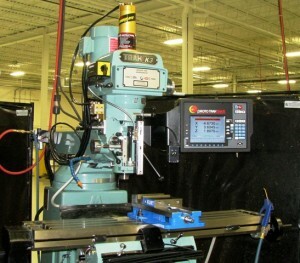 milling head with 12,000 rpm spindle with 6″ synchronized main and sub spindles with a LNS bar feed. We are pleased to announce that L & R was named as a finalist in the University of Virginia’s second annual Tayloe Murphy Resilience Awards Competition. L & R was one of fourteen finalists from among eighty eight total businesses statewide to enter this years competition. As a finalist for the awards we had the honor of attending the dinner, reception and awards presentation in the Dome Room of the University of Virginia’s historic Rotunda. Our congratulations are extended to Lindstrand USA, Inc. of South Boston, VA on being selected the winner in the manufacturing category. 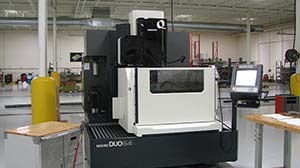 We also have recently added a Haas VF3-SS Vertical Machining Center to our lineup. It is 30 h.p. with a 12,000 rpm spindle with full four axis index capability.